When you spend a good part of your day reading blogs, downloading white papers, and watching online videos, it’s easy to come to the conclusion that print is dead. But is it? Heck no, it’s everywhere. Remember when ebooks and digital magazines were all the rage? Indeed, there was something magical about a device that could hold not one, but thousands of books. Sales of e-readers and ebooks skyrocketed. Alas, the novelty appears to have worn off. According to the Association of American Publishers, digital content sales have fallen while physical book sales are on the rise. Photos are another good example of digital media that has lost its luster. Traditional photo printing peaked in 2003. Back then, it was common to drop off a roll of film and receive 24 to 36 prints a few days later. The arrival of digital cameras virtually killed film. Today, most of us store thousands of digital photos on our smartphones. For years, consumers were content to share them on social media sites and scroll through their camera rolls periodically. That said, while they may no longer print every photo taken, they are splurging on special photos. Larger prints, canvas prints, wall decor, photo books, and novelty items like photo blankets are all popular. 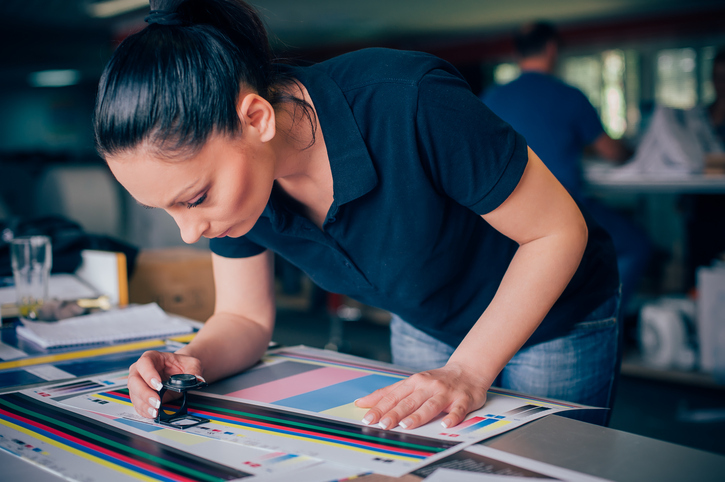 While consumers are increasingly returning to traditional print for books and photos, many businesses continue to value print media like signs, billboards, trade show displays, banners, floor decals, murals, and other sales and marketing collateral. Think about trade shows as an example. Without attractive, highly visible signage, it’s hard to capture the attention of attendees. With a large, branded trade show display, attendees can instantly grasp what your business is all about and whether your offer is potentially meaningful to them. With a generic trade show display, you risk missing your best prospects and will likely waste time explaining your offer to those it’s not relevant to. Put simply, print media still works. Here’s another example: your office walls, windows, and floor space. Whether you operate an architectural design firm, beauty salon, retail shop, or even a warehouse, these areas offer a blank canvas that could be used to brand your business or express a marketing message using large signs, mural wallpaper, or decals. Digital media is largely ethereal, at least from the consumer’s perspective. It has its place, but it’s not tangible the way signs, bus advertising, car wraps, and decals are. A digital ad may be viewed for a blink of an eye as a consumer scrolls through a social media site whereas a printed sign isn’t going anywhere. Physical signage has staying power, and a high perceived value. It is an integral part of a business’s brand. Printing is an ancient tradition that dates back thousands of years, and it is alive and well. Here at Ultimax, we can help you make a bigger impact with large format printing. Contact us today to learn more.